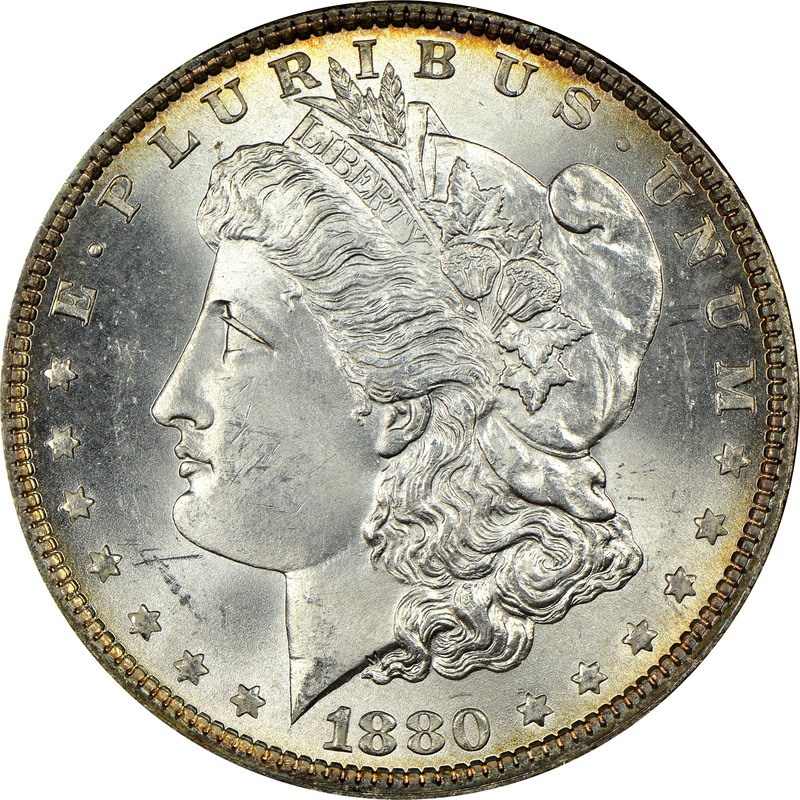 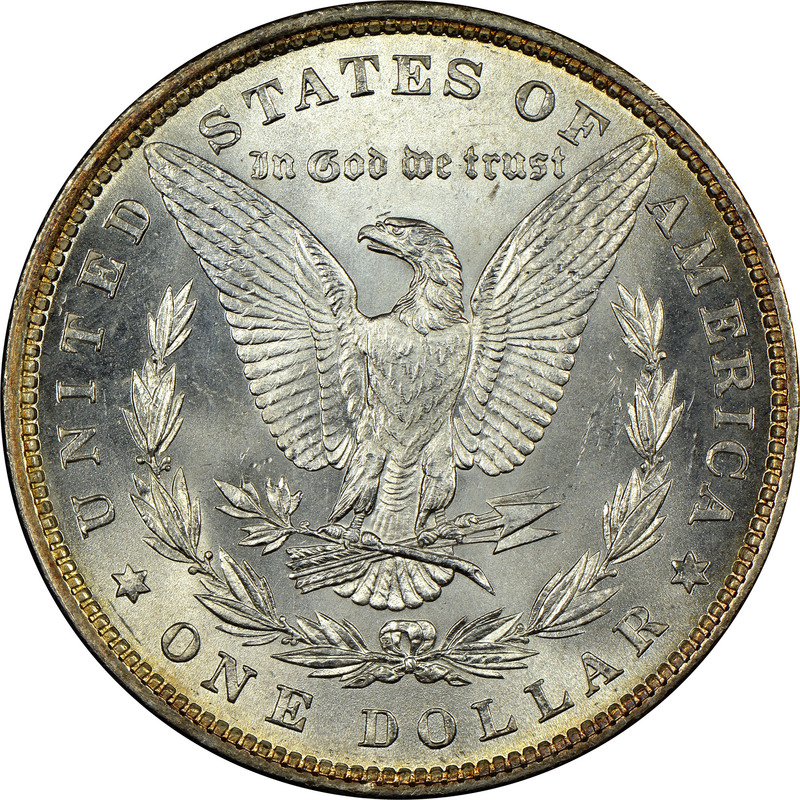 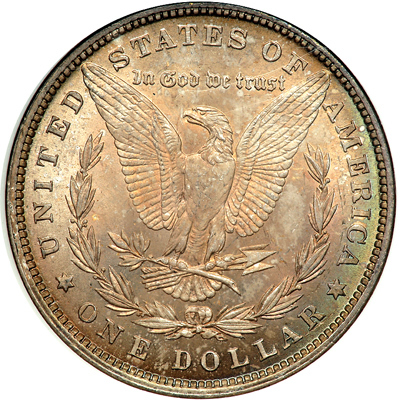 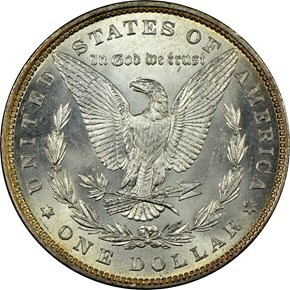 With a mintage of 12.6 million coins, the 1880-P Morgan is by no means a rare coin. 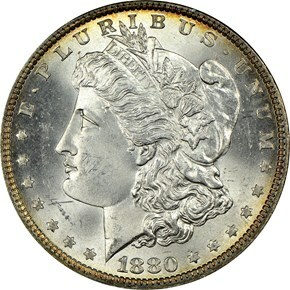 However, it is not nearly as common in high grade as the San Francisco issue of the same year. 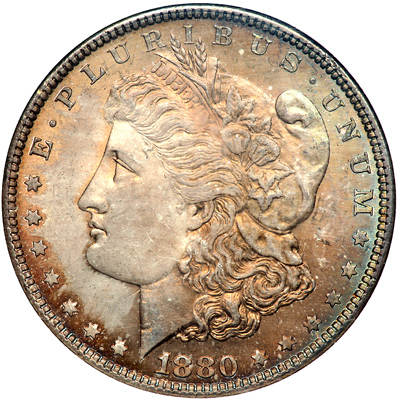 The 1880-P is common through MS64, but becomes much harder to locate in gem.